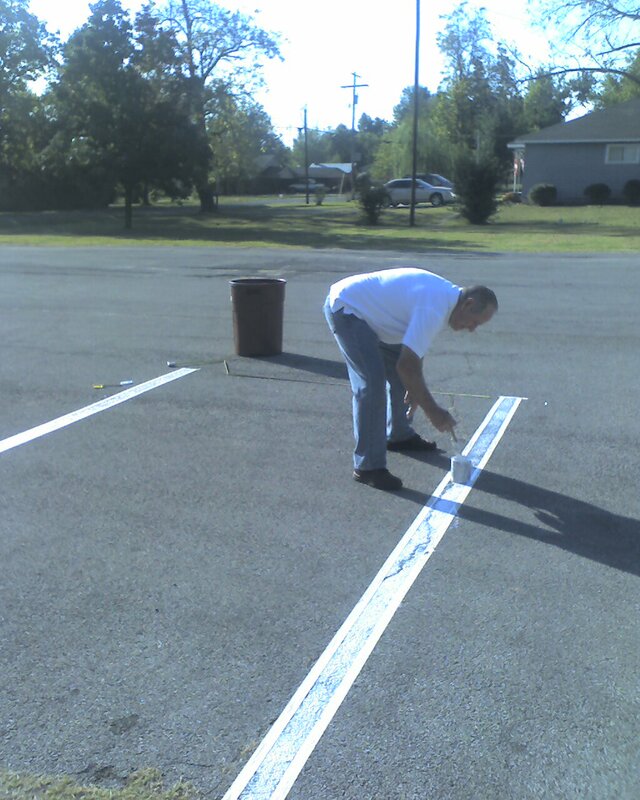 Today, Bro Elzie began working on establishing our long over-due designated visitor parking spots! We are excited to be able to offer ISBC guests the best parking spots in the lot! This entry was posted on October 7, 2010 at 2:02 pm	and is filed under News, Outreach. Tagged: Elzie Gray, Visitor Parking. You can follow any responses to this entry through the RSS 2.0 feed. You can leave a response, or trackback from your own site.